Easter is just around the corner! 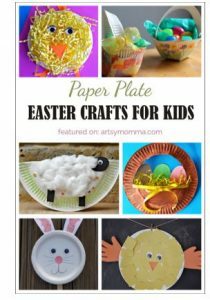 We’ve collected a variety of fun preschool Easter crafts for you to consider doing with your child. Some will be easier than others, but the goal is always the same. We want to have some family fun and enjoy the holiday with our little ones. 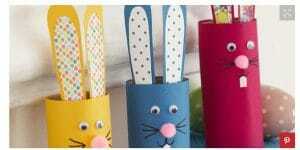 These Easter crafts use some materials you likely have laying around the house. Click on each image to go to the instructions on Pinterest. 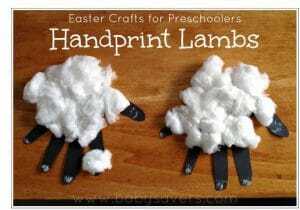 Check out these adorable preschool Easter craft ideas. 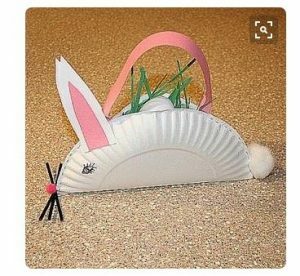 This preschool Easter craft is a fantastic project that kids will absolutely love! After all, what kid doesn’t love turning their handprint into something so adorable! 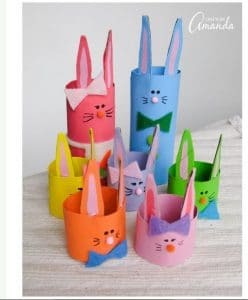 This is such a cute project that can be used for a class party to fill with Easter candy or to collect the Easter Bunny’s sweet treats. This can also be used to make baby bunnies and baby sheep too! Chances are, you already have these simple supplies around the house. Bring on the Easter fun! Let’s face it: Kids love silliness and funny faces. 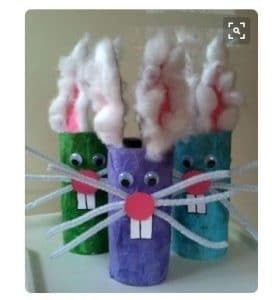 With a few super simple craft materials that you probably already have, you can have a fun-filled afternoon full of funny bunnies and silly faces! You can even make an entire bunny family! With Spring well under way, what better way to find some fun than with flowers? 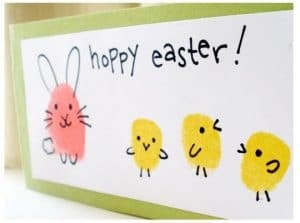 This preschool easter craft makes a great gift for grandparents, friends, and family. You can even brighten up the room with a variety of bouquets. 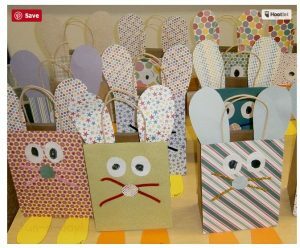 Get ready for the egg hunt with these adorable bunny bags. What better way to scoop the loot with a ready-made (and fantastically fun) homemade Easter basket! Who knew a fork could be so much fun?! 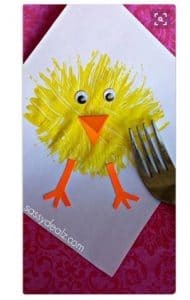 This super fun preschool easter craft brings your toddler’s imagination to the forefront with this project that only needs a little paint, orange construction paper, black marker (or googly eyes), and a fork! 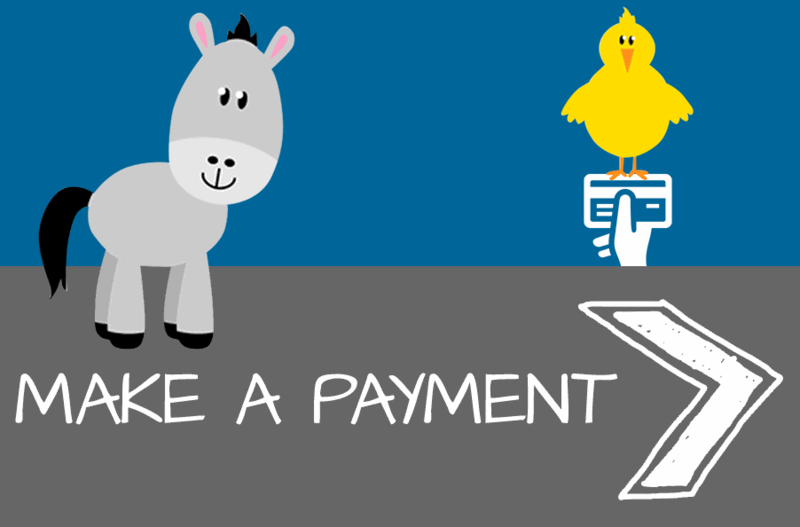 We can’t let the Easter bunny go hungry, can we? Feed your toddler’s imagination with a sweet carrot treat for the Easter Bunny! 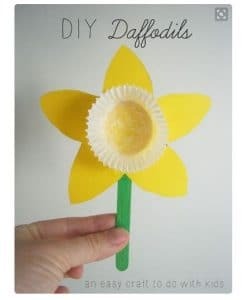 This is a great project for little hands just learning. What a great way to get messy, and have some fun! Create a story and turn your toddler’s prints into fun characters! With a few lines and squiggles, you can make cuddly bunnies and fluffy chicks with finger and thumb prints. 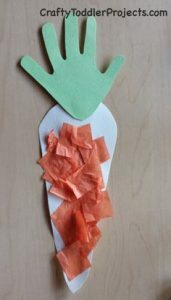 This preschool easter craft gets a thumbs up! Hopefully, we’ve given you a few ideas to be creative with your children as you celebrate Easter. There is nothing more special than celebrating the holidays with your little ones. We hope these crafts will help you create memories without stress. Happy Easter!